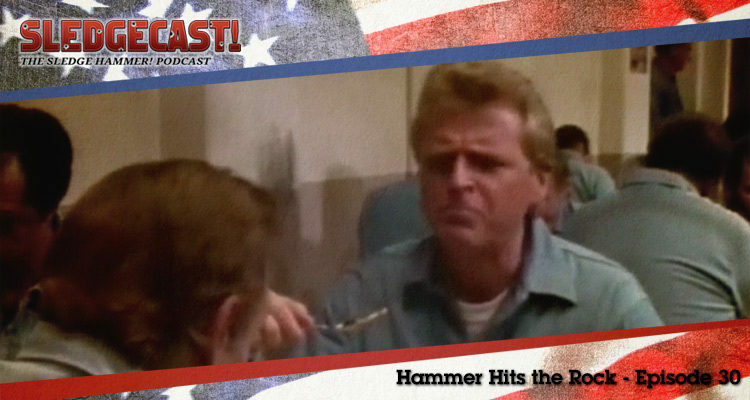 The thirty second episode of Sledge Hammer was titled Hammeroid and was the tenth episode of the show’s second season. After suffering serious injuries in a fight with an android, Sledge is fitted with some cybernetic enhancements of his own. 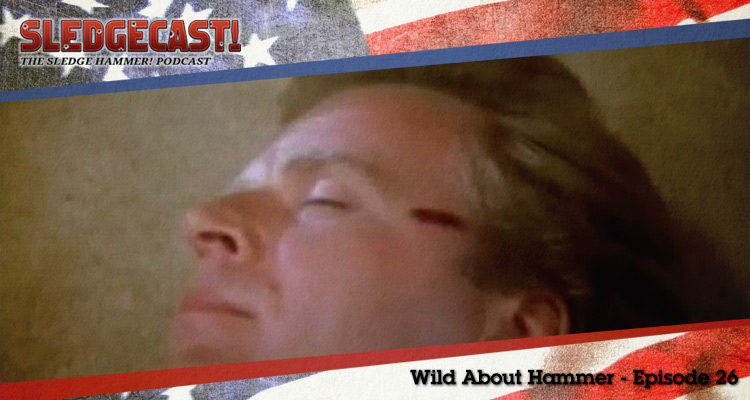 In this podcast Gerry and Iain look at a moment of passion for Hammer and Doreau. The thirtieth episode of Sledge Hammer was titled Hammer Hits the Rock and was the eighth episode of the show’s second season. Sledge once again goes undercover, this time posing as a legendary hitman to expose those plotting to help a felon escape from prison. 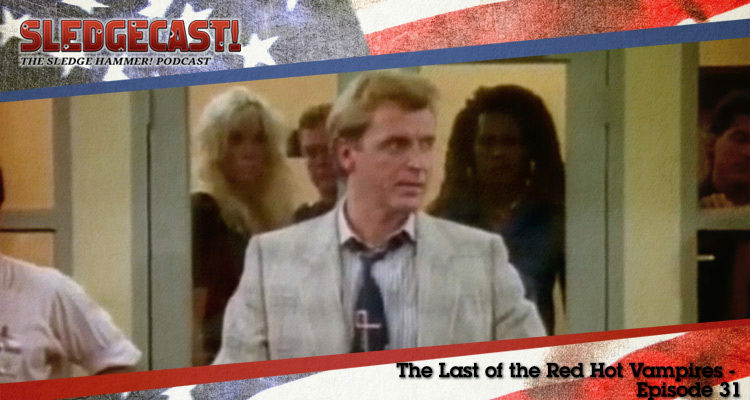 In this podcast Gerry and Iain look at Hammer’s ability to win friends and influence people. 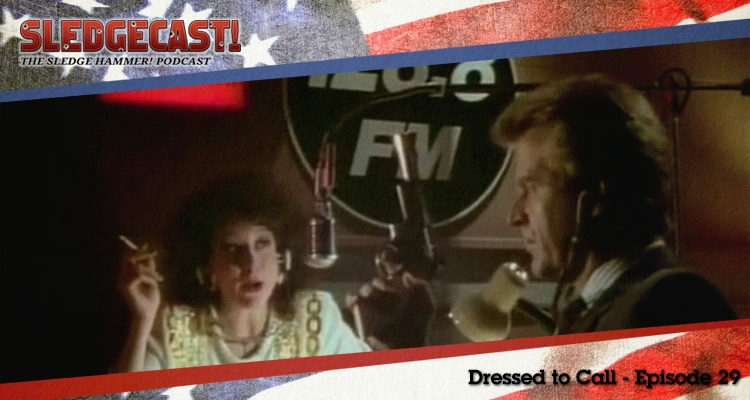 The twenty ninth episode of Sledge Hammer was titled Dressed to Call and was the seventh episode of the show’s second season. When a radio psychologist is plagues by a nuisance caller, Sledge and Dori try to track down the mystery man. In this podcast Gerry and Iain look at a manhunt with a dramatic twist. 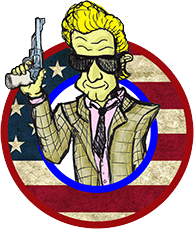 The twenty sixth episode of Sledge Hammer was titled Wild About Hammer and was the fourth episode of the show’s second season. A new officer takes a liking to Sledge, but her account of an evening in his apartment threatens to end Hammer’s career. In this podcast Gerry and Iain look at a dangerous unrequited attraction. 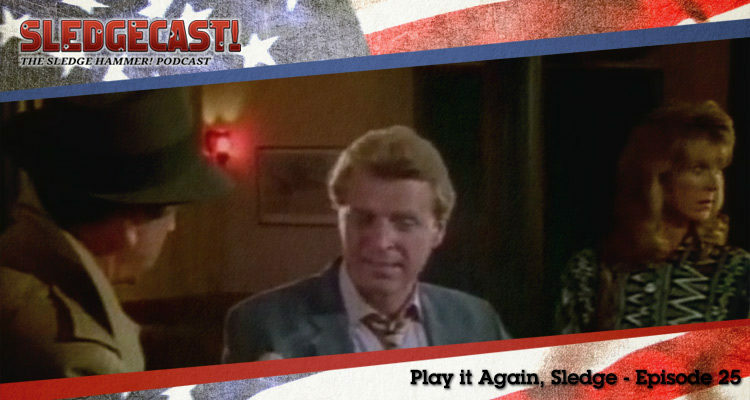 The twenty fifth episode of Sledge Hammer was titled Play it Again, Sledge and was the third episode of the show’s second season. When Sledge and Dori are suspended for mistreating a suspect, a mysterious figure steps into their lives. 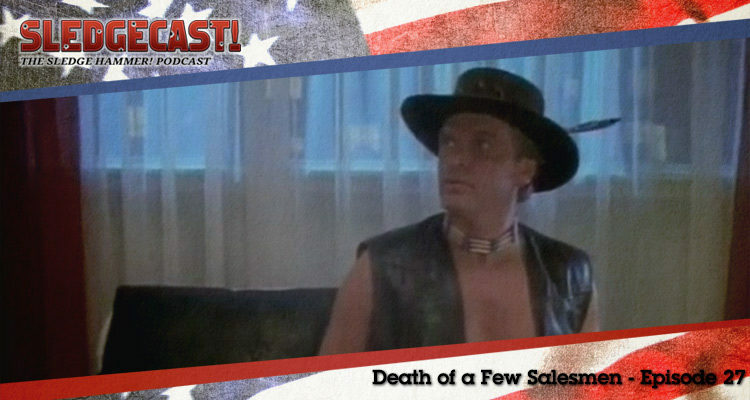 In this podcast Gerry and Iain look at a noir-style departure from the usual approach. The twenty fourth episode of Sledge Hammer was titled Big Nazi on Campus and was the second episode of the show’s second season. After a teaching assistant is murdered, Sledge and Dori use their preferred policing methods to track down the killer. In this podcast Gerry and Iain look again at the relationship between the show’s two lead characters. 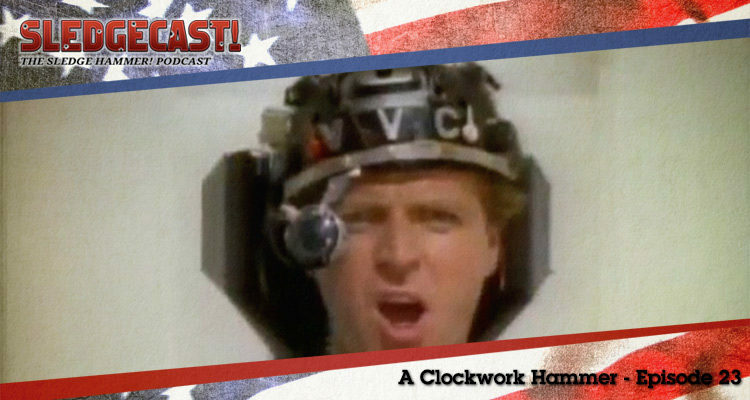 The twenty third episode of Sledge Hammer was titled A Clockwork Hammer and was the first episode of the show’s second season. A criminal tries to employ mind control technology to compromise witnesses testifying against him at trial. In this podcast Gerry and Iain look at a curious start to the show’s second season.